Picture with the Mayor of Oakland at the Oakland Animal Shelter (OAS) on Saturday, January 13th. Every year on the third Monday of January, Martin Luther King Jr.’s birthday is celebrated nationally through service projects, as a way to honor MLK Jr.’s efforts to stand up for peace and better our country. Martin Luther King, Jr. has inspired millions to go out, serve others, and lend a helping hand to our communities. 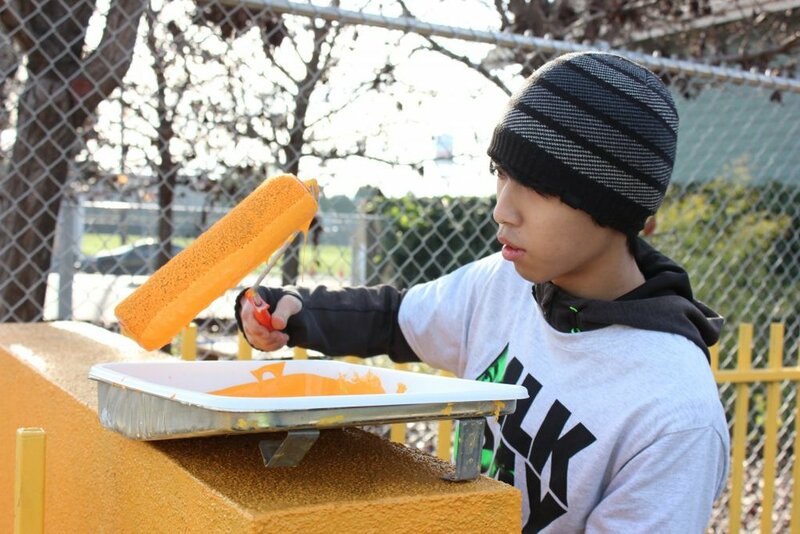 This year, over 2,000 volunteers attended the Oakland service project to honor Dr. King’s birthday weekend. Volunteer Service is not just about cleaning, gardening, pulling weeds, etc., but about what we can learn about ourselves and each other. It’s a time when people from many different backgrounds and beliefs gather together to help make a difference in the world, letting go of the barriers that may divide us. It’s a peaceful time where we can all do something small to create a big change. This year, we had many projects available in the Bay Area where volunteers could serve by picking up trash, re-painting old walls and gates, weeding, gardening, and more. 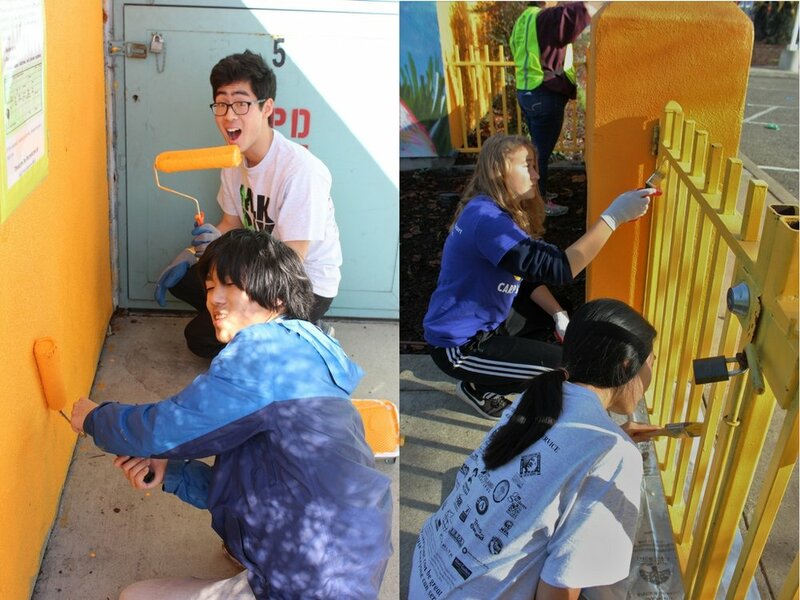 Our two main projects were at the Rose Garden and at the Oakland Animal Shelter. At the Rose Garden, we had 60 people come from the Bay Area Family Church (BAFC). We also had Boy Scouts, High School students, CARP members, and other community members participate. We went around the gardens in small groups clearing the vines and weeds around the trees. It was tough work, but everyone remained high spirited working together. Group photo of the BAFC volunteers at the Oakland Rose Garden. 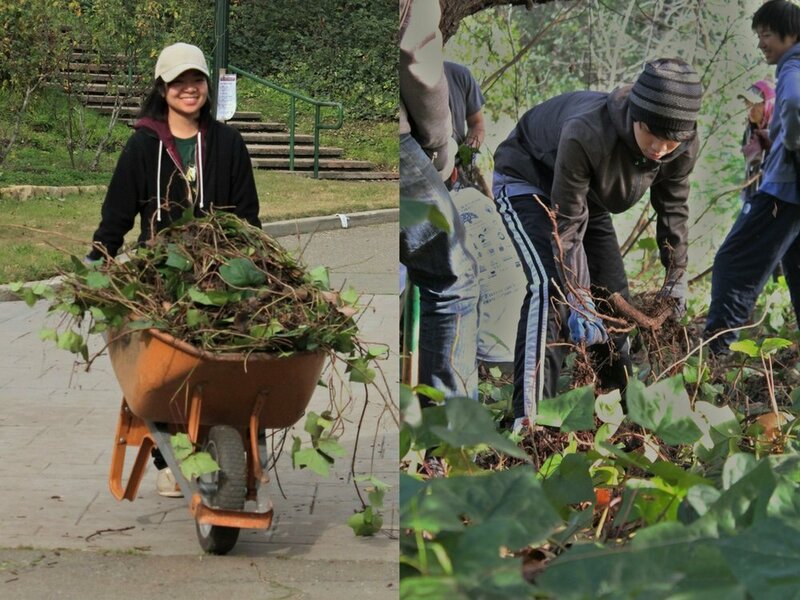 Every year, a group goes out from the BAFC to volunteer at the Rose Garden which Oakland greatly appreciates. On Saturday, a small group of about eight of high school and CARP college students went out to the Oakland Animal Shelter to put together kennel beds for the animals in the shelter and re-painted the fading yellow gates. We also had a few others from the Oakland community and Oakland counsel join us in the service work. The Mayor of Oakland, Libby Schaaf, visited and helped at each project. At the end of the project, we took a group picture with the mayor at the Animal Shelter. It was a successful weekend of service with many hardworking people from all over coming together to beautify our community we live in! Let’s keep the spirit of serving beyond this day! Check out more about what CARP Bay Area does on their Facebook page! CARP is all about bettering the community around us. If you have an inspiring story, send it to jennifer@carplife.org!